Everyone loves a day to celebrate something, and on September 2nd of this year, we were able to celebrate the “king of grapes”, Cabernet. For this special #Cabernet day (which was a huge event on twitter organized by @RickBakas), various locations around the country held special tasting events, many showcasing different wineries pouring their favorite Cabernet or Cabernet blend. 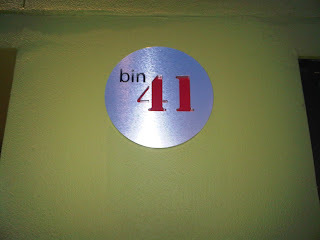 I started my day by writing an ode to Cabernet, and that night I chose to attend a special tasting at a new wine shop in West Seattle I had yet to visit, Bin 41 ( @Bin41wine). I had heard great things about this shop, and have actually been on their mailing list for a few months now since a friend of mine had put me on it when she visited the shop (I think it went something like “Taryn likes wine, she should be getting your emails!”). What a great little shop this is! Owned by Jon McNamara and his wife T., the shop is located in West Seattle in an area known as “the Junction”. My first thought on walking into this shop was how neat their wine display racks were and how colorful and welcoming the shop was. We picked up our glasses & tasting tickets from Jon at the door and started off on our Cabernet adventure! Our first taste came from Bartholomew Winery (@BartholomewWine), owned by Bart Fawbush. I’ve had Bart’s wine on several occasions in the past and can say that he makes some good juice! He recently opened his new tasting room in the Old Rainier Brewery Building in south Seattle and is open on Saturdays and Sundays from 12-5pm. For the Cabernet event, Bart was pouring his 2007 Reciprocity, which is a mix of 50% Cabernet Sauvignon and 50% Carmenere. 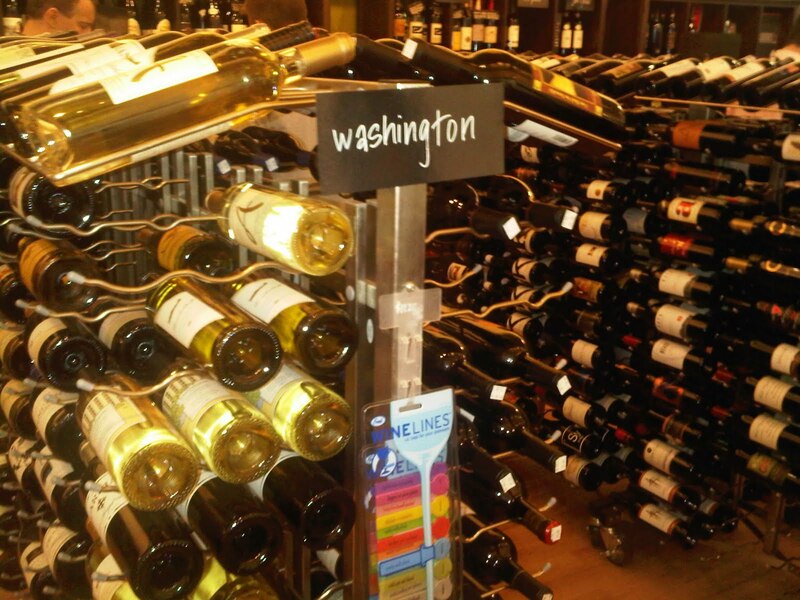 This wine comes from the Horse Heaven hills region of the Columbia Valley. This is a great wine. It’s spicy on the palate but finishes smooth. I look forward to seeing how this wine ages also. 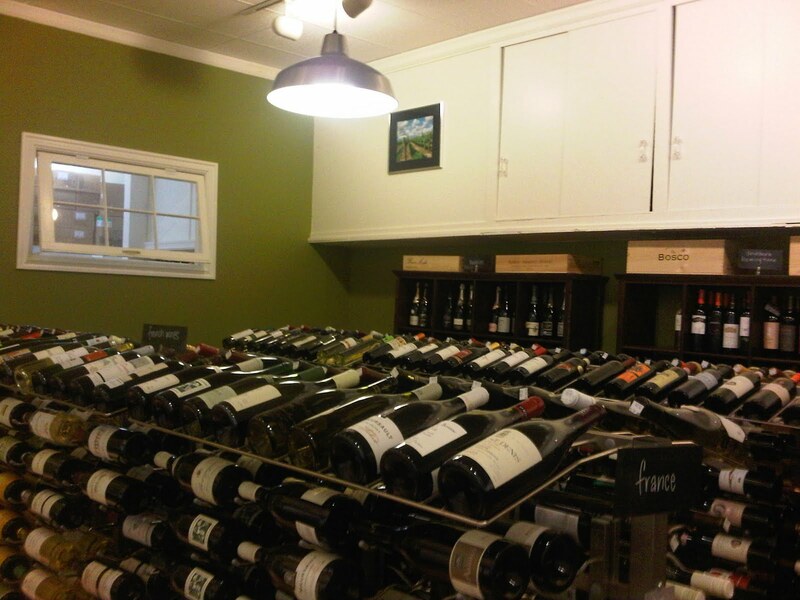 Bart has a new winery, but his wines are stellar straight out of the gate. Can’t wait to see more from him! 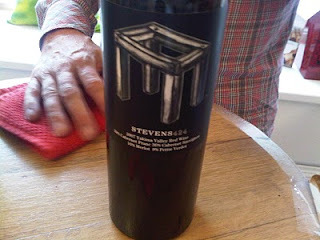 Next we moved on to Stevens Winery, who was pouring their 2007 Stevens 424, a 5th vintage Bordeaux blend from the Yakima Valley. This blend was 39% Cabernet Franc, 36% Cabernet Sauvignon, 16% Merlot, and 9% Petit Verdot. It was aged 50/50 in new and used French Oak. This Cab heavy wine (both Cab Sauv and Cab Franc) was good and had a pleasant aroma also. 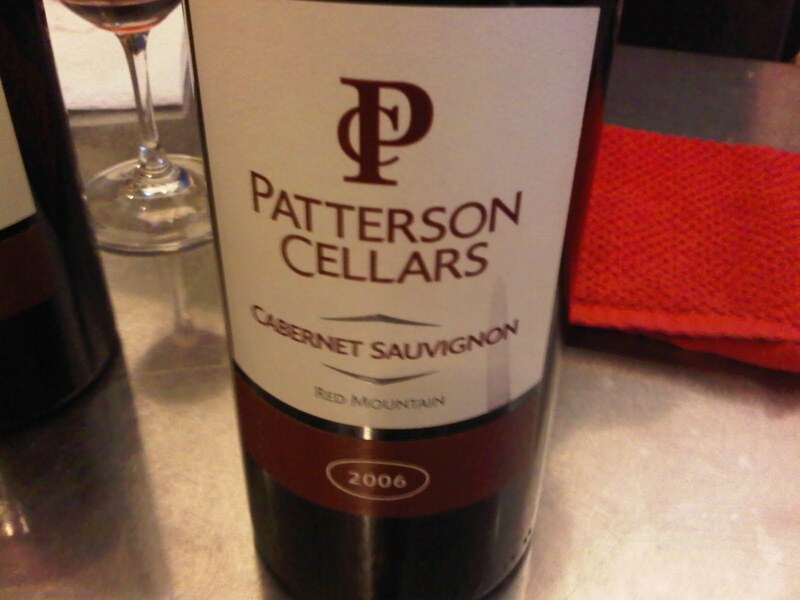 Next up was the Patterson Cellars 2006 Cabernet Sauvignon from Red Mountain. This was 87% Cabernet Sauvignon, 9% Cabernet Franc, and 4% Syrah. I have enjoyed Patterson’s wines in the past and have visited their tasting room in Woodinville during a tasting adventure back in May. The wine poured at this event was smooth, but with a firm finish. The small amount of Syrah in this added just a little something extra. My favorite wine of the Cabernet event came from Guardian Cellars. It was great to get the opportunity to chat again with Jerry Riener, owner of Guardian. I had first heard his story at a tasting event at the CTC back in March. Jerry continues to release exceptional wines, and the wine poured at this event was no different. 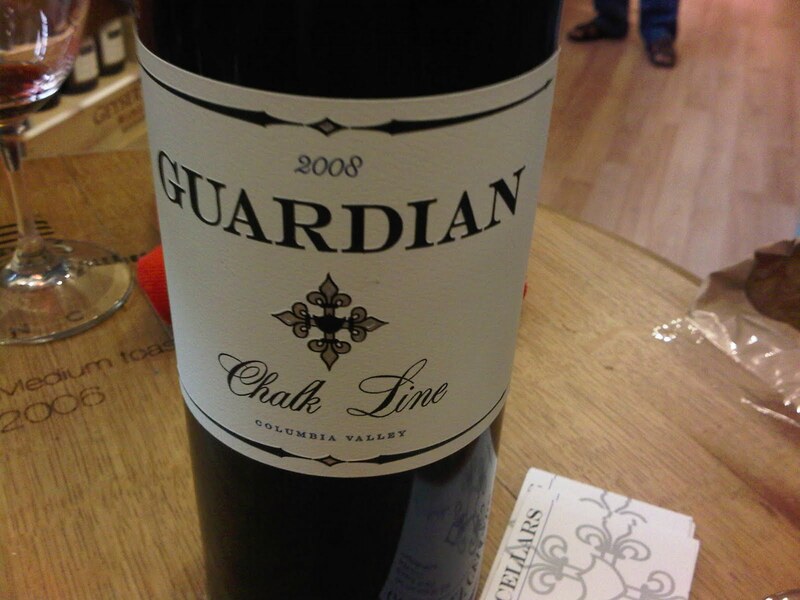 We tasted the 2008 Chalk Line from the Columbia Valley. This “pizza and Doritos” wine, as Jerry called it, was 31% Cabernet Sauvignon, 27% Syrah, 21% Merlot, and 21% Cabernet Franc. This is a multi-vineyard blend using grapes from all of the vineyards that Jerry pulls from for his wines. This wine was well balanced from start to finish and will definitely sell out quickly. Definitely one to try if you haven’t already! 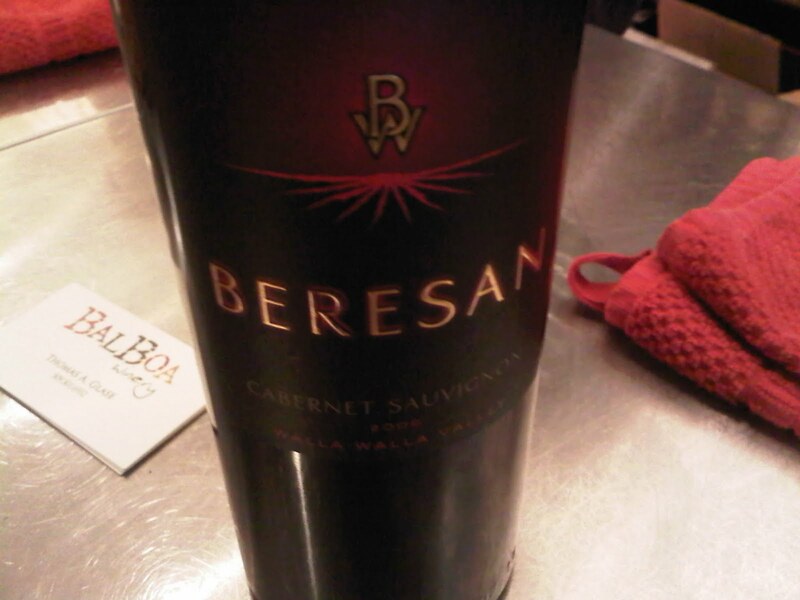 Beresan poured one of the few 100% Cabernet Sauvignon’s at the event. This 2006 Walla Walla Cab stood out among the blends for being a pure Cabernet for Cabernet Day. I had never had Beresan wines before and it was great to be able to try new labels at this event. 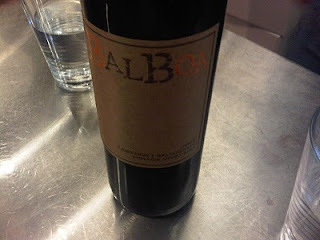 Balboa (@balboawinery) poured a 2009 Cabernet Sauvignon from the Columbia Valley. This single vineyard Cabernet was very tight and definitely needs more age. Balboa is one known for putting out good Cabs, as I have enjoyed a bottle on occasion at local restaurants on Seattle. This wine will definitely improve over time but this night it just wasn’t quite there. We finished with Forgeron Cellars (@ForgeronCellars) which I had tried for the first time recently at the South Lake Union block party. 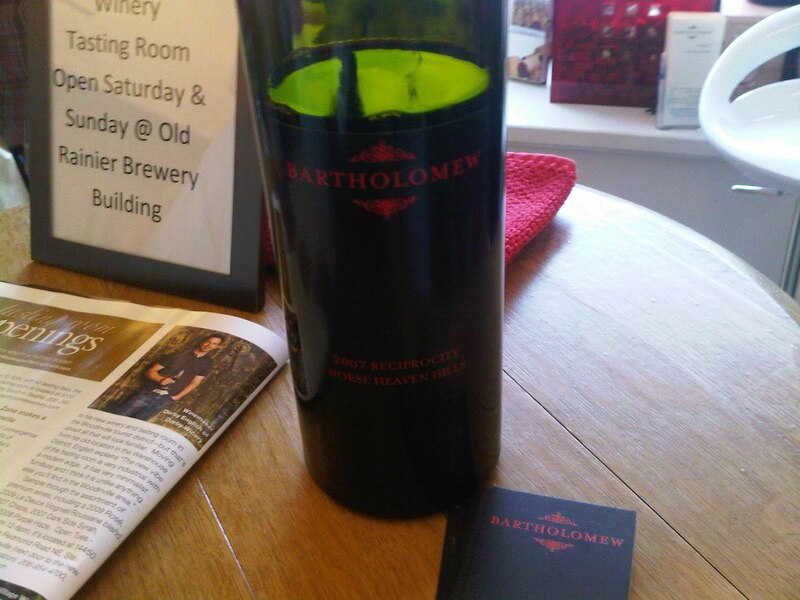 At that event they had an amazing Chardonnay and at this event they had a great 2006 Cabernet Sauvignon. 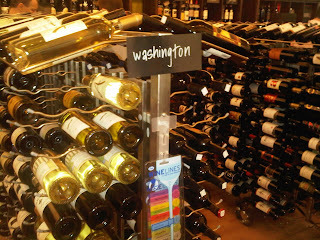 This 95% Cabernet Sauvignon and 5% Malbec is a multi-vineyard wine from Walla Walla, Red Mountain and Horse Heaven Hills. This will age very well and that little bit of Malbec spice is a great addition to this one. A great addition to this event was pizza brought over from Talarico’s Pizzeria, which is located just down the street from Bin 41. Throughout the event, they brought over several enormous pizzas (seriously, how could that even fit in a car?!) for the Cabernet tasters to enjoy. They were quite good, and I look forward to getting back over to West Seattle sometime soon to try some more of their concoctions at the pizzeria. Overall, this was a great way to celebrate Cabernet Day! 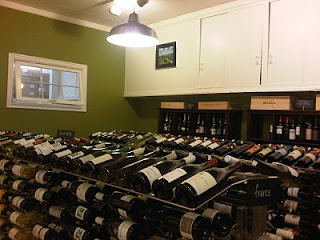 I enjoyed some old favorites and some new Cabernets as well. I love the concept of celebrating a particular varietal and doing tastings from different wineries of just that varietal. Even if it’s not for an organized event, I think it’s something I want to do on my own more in the future! I don't think I have ever been so excited for an event. This 2nd annual tasting event combines my two passions: wine and the WSU Cougars. This coming Thursday 9/16/2010 there will be over 20 (last I heard up to 24!) wineries and breweries going grape to grape (and hops to hops!) to battle it out for bragging rights. 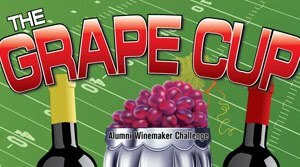 Just like the Apple Cup decides who is the best at football annually, the Grape Cup answers the question: Who makes better wines, Husky alums or Cougar alums? The Cougs won last year, with Robert Smasne of Smasne Cellars taking first place. This year's event will be held at a new venue, 415 Westlake, near South Lake Union. Even better than just knowing your Alma Mater makes the best juice, this event benefits the Washington State Farmworker Housing Trust. And what goes better with a rivalry than tailgate food? Reknowned Chef Tom Black and Mark Huston will be there to provide great food to accompany the wine and beer tasting. Click here for photos of the 2009 event by Nityia Przewlocki. In order to get some more excitement going about this awesome upcoming event, yesterday I came up with a Top 10 list for reasons why everyone needs to attend. I posted them all to twitter, but here they are again, the full list! 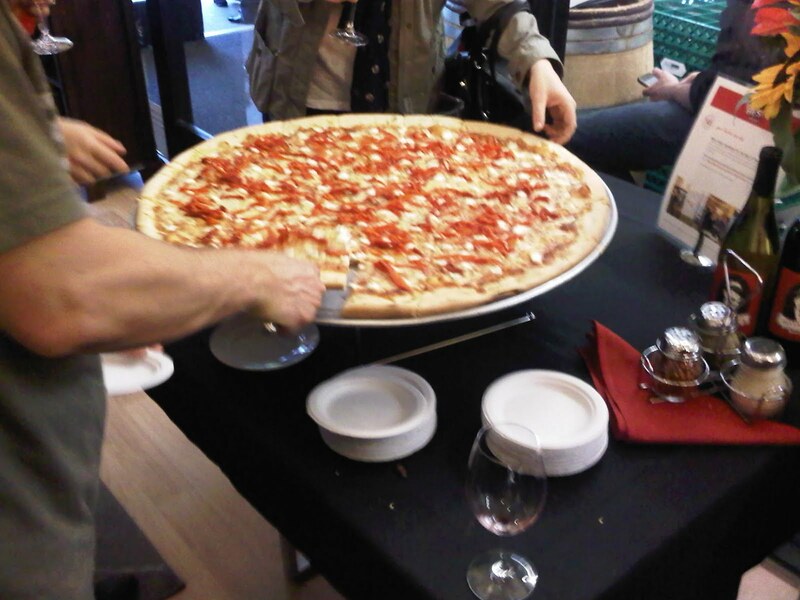 Reason #8 to attend #GrapeCup: Because there will be 20+ wineries and breweries there! Reason #7 to attend #GrapeCup: Because football is just one game a year for #WSU and #UW. A wine is forever (or until you drink it). Reason #6 to attend #GrapeCup: Two words. TAILGATE FOOD! 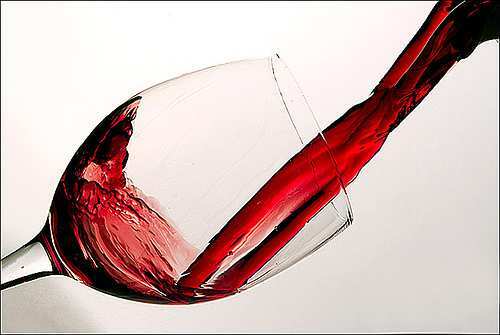 Reason #3 to attend #GrapeCup: Because wine is crimson. And grapes are purple. Reason #2 to attend #GrapeCup: Because you get to wear your favorite #WSU and #UW gear. From head to toe. And reason #1 to attend #GrapeCup: Bragging rights! (aka smack talking) Get your tix and I'll see you there! Get your tickets by clicking HERE! I'll see you there (I'll be in crimson.. ;) GO COUGS! Not today, no, this day was for #cabernet! Happy #cabernet to all, and to all a good night!